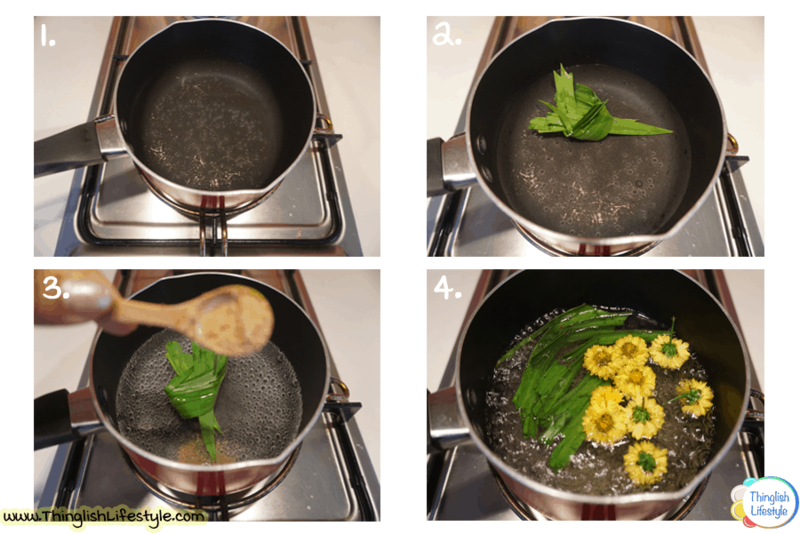 Welcome to the Thinglish Kitchen where today I will share with you the health benefits and my simple recipe to make refreshing chrysanthemum tea. I would like to introduce you to plants that make fine and beneficial herbal teas directly from our Kitchen Garden. The first one is the chrysanthemum flower. 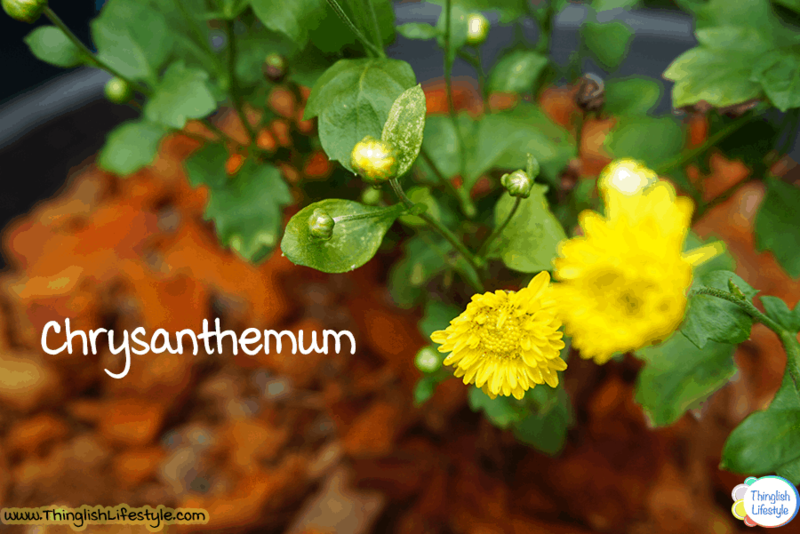 The name chrysanthemum derives from ancient Greek ‘gold flower‘ and the Chinese ‘mums‘. The beautiful yellow flower is what we are going to use today to make chrysanthemum tea but the flowers do come in many different colors including orange, red, white and purple. 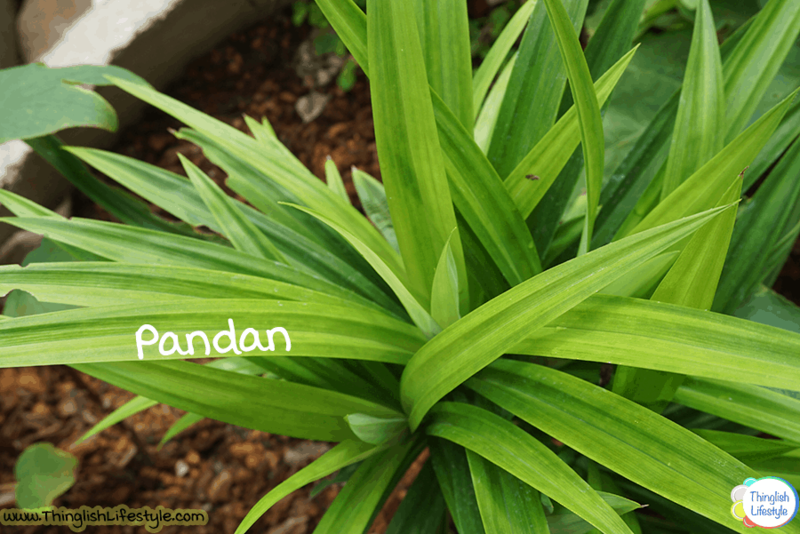 The second ingredient we will use from the kitchen garden is Pandan leaves. With it unique sweet taste and smooth aroma this popular Thai ingredient adds a subtle twist to our tea. 5. Allow to cool and then you are finished!! 6. Reward your hard work in the kitchen with a refreshing glass of healthy chrysanthemum tea. Just a Second!! 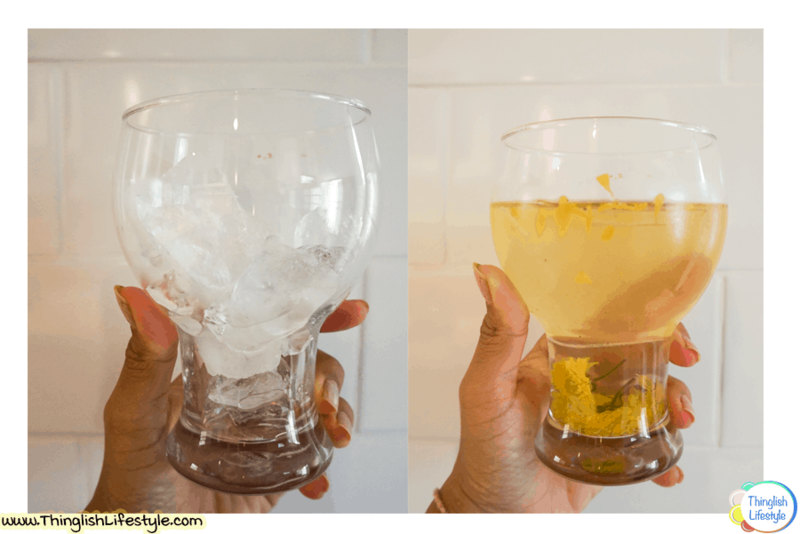 Don’t forget to add ice to the glass and Cheers!! So there you have it! 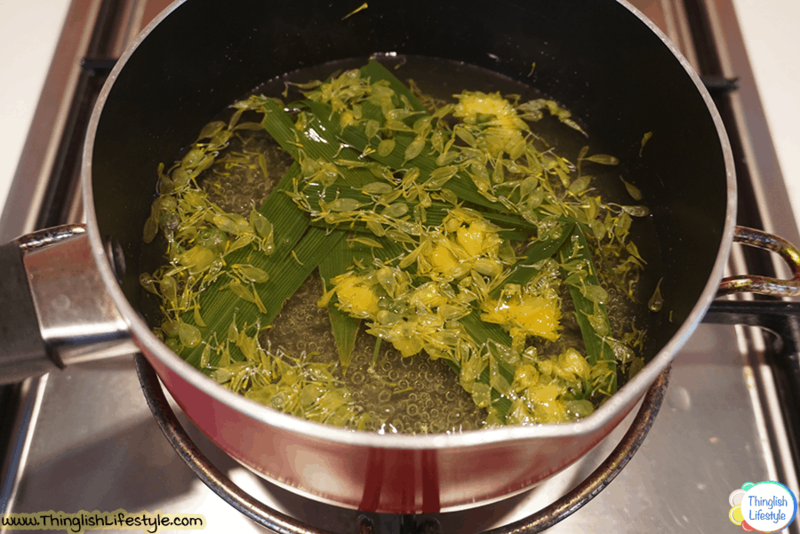 Chrysanthemum tea made with pandan leaves is not only a tasty, easy to make beverage but regular drinkers of this herbal tea will also enjoy the many beneficial health benefits it contains. It also has no side effect or caffeine. Enjoyed this blog post? Share it with someone who would appreciate this drink recipe and leave your comments below. You can also follow us on Facebook or support us here. i think we should add honey later, when the liquid temperature really cools down to ensure it will not become toxic, or we can replace it with sugar, or even sweet herbs! thanks for sharing the recipe!